Millions of Americans can't live without their morning cup of coffee, but you might be wondering if drinking caffeine is helping or hindering your weight loss efforts. If you're a coffee or tea enthusiast and trying to shed pounds, don't give up on caffeine just yet. It may actually enhance weight loss and prevent weight regain. Numerous studies have examined effects of caffeine, coffee, and tea on weight loss and weight maintenance. Mayo Clinic suggests caffeine may slightly enhance weight loss and help prevent weight regain, but more research is needed. The University of Maryland Medical Center also found caffeine may promote weight loss. Caffeine's effects on weight maintenance is better backed by research. A 2010 study published in Physiology and Behavior says caffeinated green tea appears to aid in healthy weight management. And, a 2016 study published in the European Journal of Clinical Nutrition found people who maintained weight losses consumed more coffee and caffeinated drinks, suggesting caffeine supports weight loss maintenance. The bottom line is that while more research is needed, because caffeine may slightly enhance weight loss and help you keep lost weight off long term, don't be too quick to give up on caffeine when trying to shed pounds. Nixing caffeine can cause side effects that may hinder your weight loss efforts. For example, migraine headaches and lower energy levels that often occur upon giving up caffeine may cause you to burn fewer calories over the course of the day. Caffeine withdrawal may also lead to symptoms of depression, which can make weight loss much more difficult. If caffeine is keeping you up at night, it's time to nix it -- at least in the afternoons and evenings -- to get a better night's sleep. Why is sleep so important for healthy weight management? Sleep deprivation can cause hormone changes that boost your appetite and food intake. Researchers have examined possible reasons caffeine may enhance weight loss. Scientists who conducted a study published in 2015 in the journal Obesity say one explanation is caffeine appears to speed up metabolism, boost lean body mass, and decrease fat, allowing your body to burn extra calories. Another study published in 2013 in Plos One found drinking coffee or caffeine one hour before working out increases physical performance during endurance exercise, which means better workouts and increased calorie expenditure. 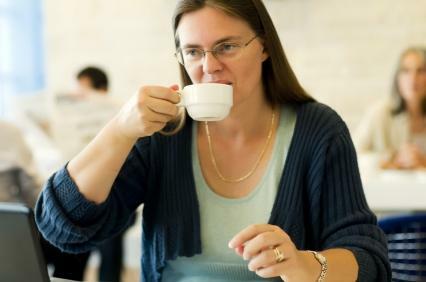 Mayo Clinic says caffeine may also help suppress appetite. Many studies examining effects of caffeine on weight loss and weight maintenance use coffee or tea (especially green tea), and found that other components (besides caffeine) in coffee and tea may be beneficial for healthy weight management. For example, catechins in green tea may play a role. A 2011 study published in Gastroenterology Research and Practice found green coffee extract is associated with less weight gain over time and appears to help promote weight loss. Coffee and tea are extremely low-calorie drinks, which is beneficial when you're trying to shed pounds. Caffeinated sodas and other sugar-sweetened beverages like energy drinks, however, contain large amounts of sugar, which can hinder weight loss when consumed in excess. Even frequent consumption of diet sodas containing artificial sweeteners boosts your risk for weight gain, say researchers who conducted a study published in 2013 in Trends in Endocrinology and Metabolism. So to steer clear of unwanted weight gain, it's best to avoid caffeinated drinks high in sugar and beverages containing artificial sweeteners. How Much Caffeine Should You Consume? There isn't a magic number when it comes to drinking caffeine for healthy weight management, as it affects everybody differently based on body size and tolerance. However, it's best to drink caffeine in moderation to avoid unwanted side effects like insomnia, nausea, nervousness, irritability, migraine headaches, restlessness, increased blood pressure, muscle tremors, a fast heartbeat, and inability to control urination. 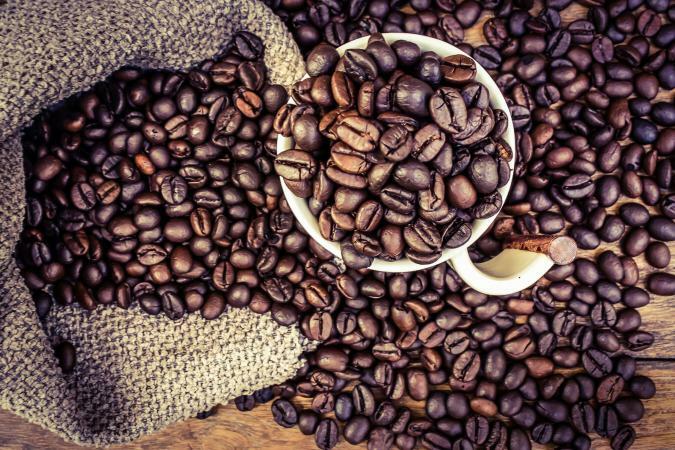 Mayo Clinic suggests ingesting 400 milligrams of caffeine daily is safe for most healthy adults, which equates to about four cups of brewed coffee per day. Beginning a new weight loss program isn't the time to quit on caffeine. When consuming caffeine during weight loss to boost energy and metabolism, choose coffee or tea instead of sugary drinks. While caffeine appears to enhance weight loss and help prevent weight regain, more research is needed. So don't rely on caffeine to shed pounds. Instead, focus on a lower daily calorie intake (eat plenty of fruits, veggies, whole grains, nuts, seeds and other protein foods), participate in regular physical activity, and get plenty of sleep; aim for at least seven hours each night.